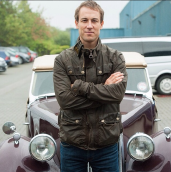 The latest photos from Outlander on Instagram offer up three varied looks behind the scenes, including Gaelic tutor Àdhamh Ó Broin, Claire (Caitriona Balfe) heading for the stables, and Tobias Menzies posing with Frank’s car. 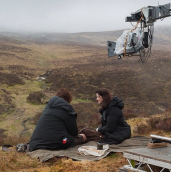 The latest behind the scenes photos from Outlander on Instagram feature Caitriona Balfe, Sam Heughan, and a few Highland Cows. 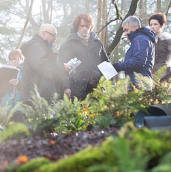 Outlander stars Caitriona Balfe and Sam Heughan are featured among the lush Scottish foliage in the latest behind the scenes photo from Outlander on Instagram. 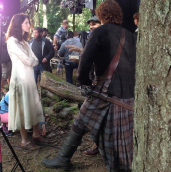 Sam Heughan (Jamie) and Caitriona Balfe (Claire) are featured in the latest behind the scenes photos from Outlander’s Instagram account. 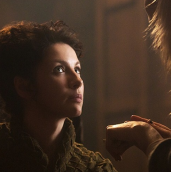 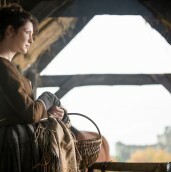 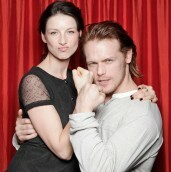 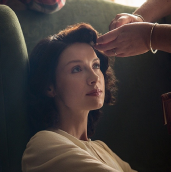 The first photo shows Balfe as Claire in the 1940’s having her makeup touched up and the second features both Heughan and Balfe on horseback.